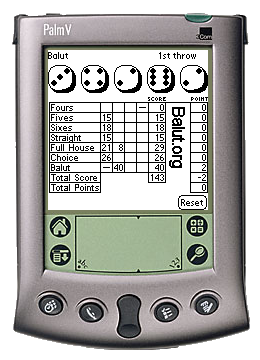 Now you can play balut on your Palm. Just download the balut.zip file and copy the file balut.prc found inside it to your Palm device. The program records your 10 best results and keeps it in a highscore list. You can then add your best scores to highscore list at these pages if you wish.